I hope you are having a good week. It's hard to believe it is almost September. I am ready for cooler temperatures. How about you? Be sure to check out my recent posts at Uptown Acorn. 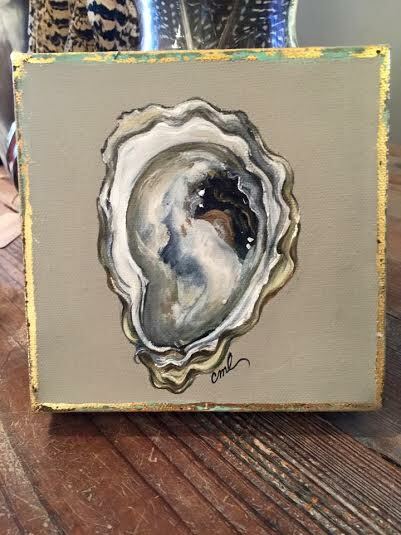 I am in love with these oyster shell paintings. This week's party host is Lynn, author of the blog, The Vintage Nest.